“If I write a song, there has to be a catalyst. It can’t just be like ‘I had a nice day’. It has to be like ‘I had the best day ever’ or the worst day ever. You can’t write a song from a bland experience, but you can write a song from two extremes. When Mark Ronson started working on his chart-topping album Uptown Special – his first album for four years – he wanted to push the boundaries for an R&B record by featuring ambitious, memorable lyrics that were about much more than standard themes like love and dancing. Ronson felt that the music was telling him it needed lyrics that told good stories. That’s when Ronson took the unusual step of contacting Michael Chabon, the music-loving, Pulitzer prize-winning author of seven novels, including The Amazing Adventures of Kavalier & Clay. As a result, the acclaimed American author’s lyrics now feature on more than half the tracks on Uptown Special. 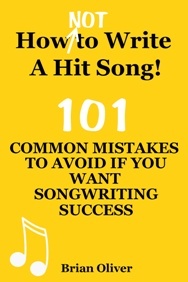 With some songs, Chabon wrote the lyrics first and Ronson composed music to fit the words (like Elton John and Bernie Taupin); for other songs, the author was sent a basic track and he had to come up with lyrics to fit the melody. Mark Ronson’s highly successful collaboration with Michael Chabon is not the first time an acclaimed novelist has crossed over the border into the world of music. Booker-prize winning author Kazuo Ishiguro writes lyrics for jazz singer Stacey Kent; Tom Waits has worked with William Burroughs; Salman Rushdie’s words have been used by U2; and Nick Hornby wrote lyrics for Ben Folds’ 2010 album Lonely Avenue. A good novel and great lyrics share the same ability to use well-chosen words to reach people on an emotional level. And they can both create powerful imagery through the potent use of devices such as metaphor, simile and personification. But lyricists have to work their magic under much tighter constraints than novelists. An author can pour out his or her feelings on page after page of dense and structurally complex text; the lyricist has to be more concise and work within the confines of a clearly defined song structure and rhythm. Michael Chabon admitted that adapting the relative freedom of his novel-writing style to the precise musical and rhythmic restrictions of a song was a “brilliant challenge”. He added: “Just because something looks good on the page doesn’t guarantee it can be a viable lyric. Sometimes you need a line not to be brilliant or memorable or dazzling. You need it to fit …”. The trend toward songwriters mixing up music genres in order to create something different and fresh—and also help them reach new audiences—appears to be gathering pace. Swedish dance producer/writer Avicii has just announced that his next album will blend rock with electronic dance music (EDM). This follows his previous flirtation with a combination of bluegrass and big-room house on his crossover hit ‘Wake Me Up’. Avicii says he plans to add a rock flavour to his next album with guest appearances from Jon Bon Jovi, Green Day’s Billie Joe Armstrong, System Of A Down’s Serj Tankian and Chris Martin of Coldplay. Other guest artists are expected to include Wyclef Jean and Matisyahu (on a reggae/EDM duet). With his new (as yet untitled) album, Avicii is also echoing the recent call by Disclosure for EDM writers to use a broader range of chords and song structures. Other singer-songwriters who are taking this ‘fusion’ approach to writing songs include Taylor Swift who has hinted that her new album will push the boundaries of her sound by featuring greater cross-pollination between different genres. And British singer-songwriter Ed Sheeran’s new hit album, X, features a broad mix of genres, sonic ideas and songwriting styles that stretch his original folk rock sound. Sheeran said he deliberately set out to “rock the boat a little bit” with his new music. Most experienced songwriters recognize the importance of keeping each new song sounding fresh and different by creating plenty of variety in their chord progressions. They’re aware of the danger of writing songs that are all built around the same few notes, chords and keys—a criticism that is often leveled at electronic dance music (EDM). Now, leading British electronic dance duo Disclosure—consisting of brothers Howard and Guy Lawrence—are aiming to change all that. Their mission, they say, is to bring greater depth to EDM by using song structures, writing processes and a wider range of chords that aren’t usually found in this genre. Disclosure’s music is seen as a synthesis of house, pop and UK garage, with a strong emphasis on traditional song structure (their influences surprisingly include singer-songwriters Stevie Wonder, Peter Gabriel and Kate Bush). Disclosure may be breaking new ground in the EDM market, but they’re not the first to discover that you can enhance the feel of a song by using so-called ‘jazz chords’, such as thirds, fifths, sevenths, ninths, elevenths or thirteenths. In the 1920s, the great George Gershwin reshaped popular music by taking jazz elements and certain harmonies and combining them with Tin Pan Alley pop in a way that hadn’t been done before. In the modern era, ‘jazz chords’ such as ninths, elevenths and thirteenths are featured prominently in songs like Billy Joel’s ‘Just the Way You Are’, ‘Ebony and Ivory’ by Paul McCartney and Stevie Wonder, and Mariah Carey’s ‘Love Takes Time’. Carole King’s classic song ‘I Feel the Earth Move’ even uses elevenths in a minor key! Paul McCartney’s ‘Yesterday’—one of the most covered songs of all time—is a great example of how to make a simple tune harmonically interesting. The song doesn’t just feature ordinary majors, minors and sevenths; it also includes a mixture of fifths, thirds and seconds, and a couple of well-chosen variant chords.